I’ve been “living in the past,” writing frequently about the Civil War’s 150th anniversary. 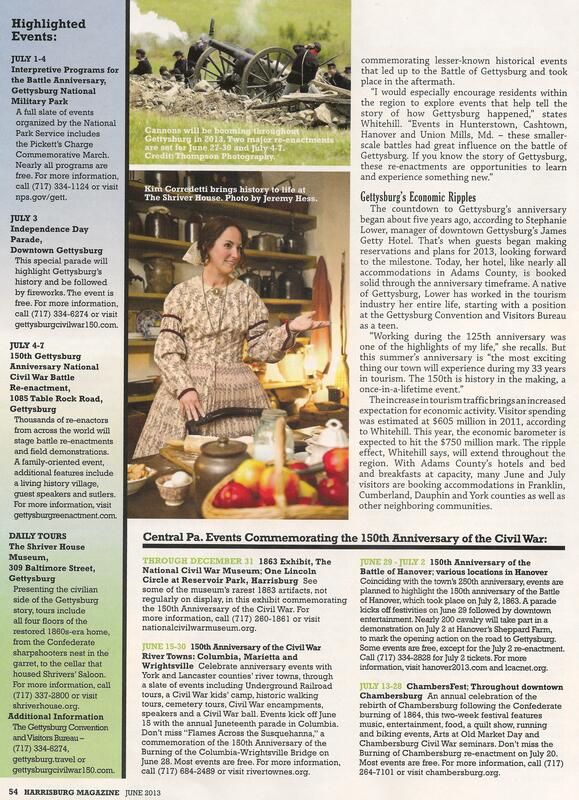 The nation’s historical spotlight shifts to Gettysburg this summer, as the Civil War’s most pivotal battle commemorates its 150th anniversary, July 1-3, 2013. 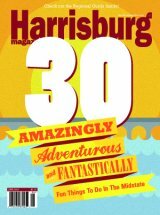 There is a spark of anticipatory electricity running through Gettysburg, “the most famous small town in America,” as this town of 8,000 residents prepares to welcome some 4 million visitors throughout the year. 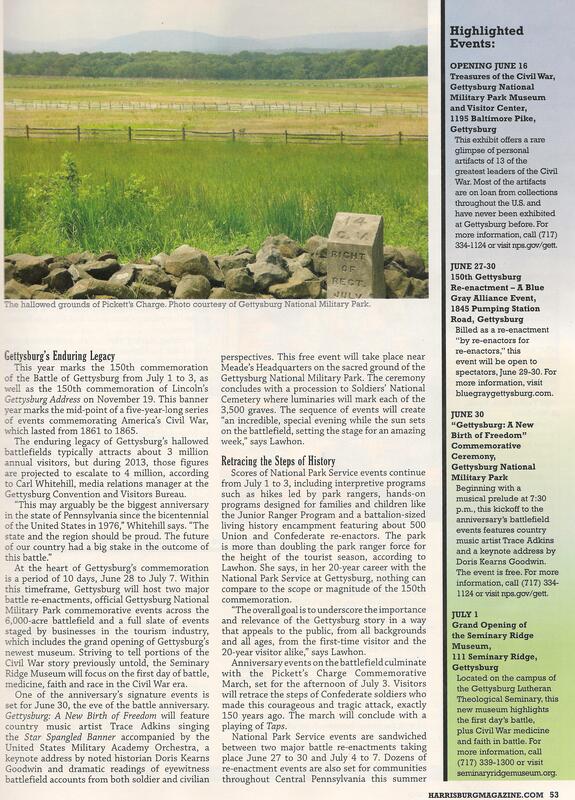 To learn more about this summer’s highlight events and why Gettysburg’s legacy is enduring, see my latest article as published in Harrisburg magazine, June 2013. 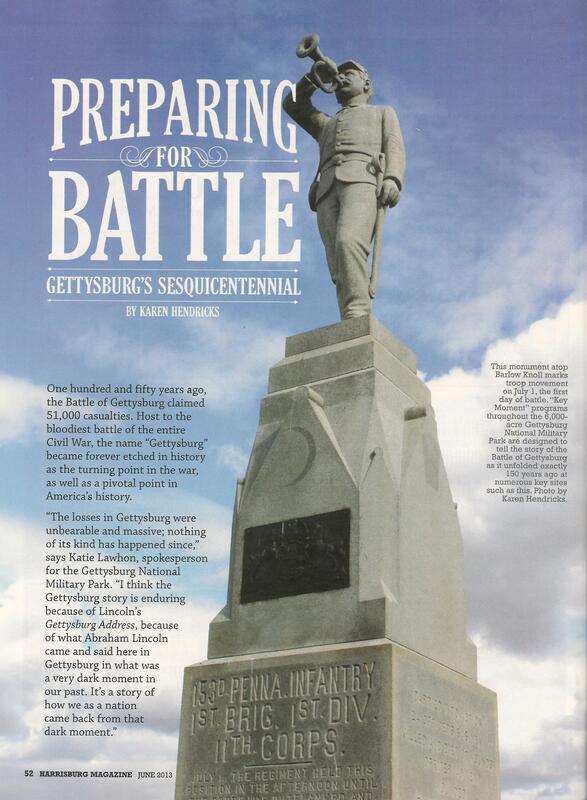 This entry was posted in Freelance Writing and tagged 150th anniversary, 150th Anniversary of the Civil War, Abraham Lincoln, Battle of Gettysburg, Civil War, Gettysburg, Gettysburg battlefield, harrisburg magazine, Pickett's Charge, Sesquicentennial by Karen Hendricks. Bookmark the permalink.